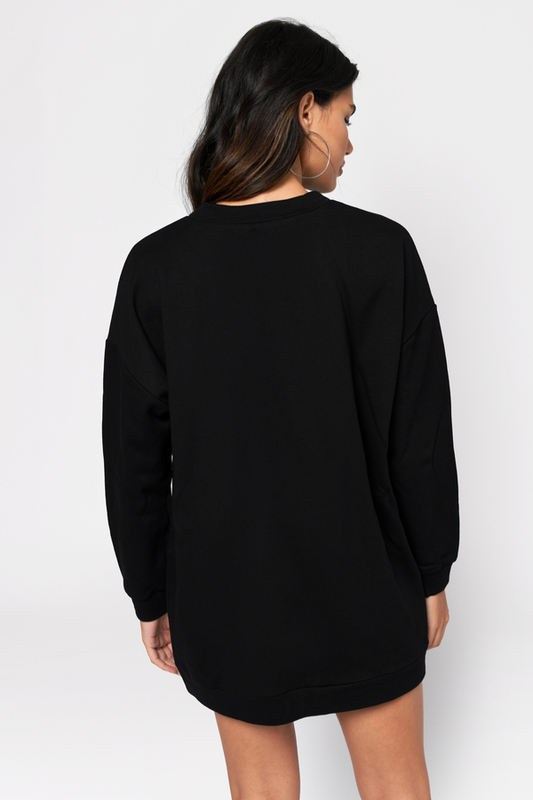 Check out Tobi's Not Your Average Sweatshirt Dress Average should not even feature in a babe's vocabulary. 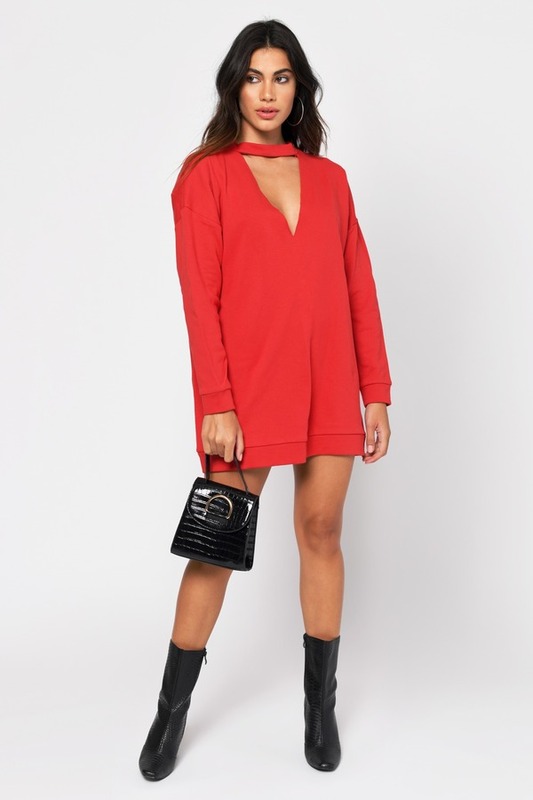 The Red Not Your Average Sweatshirt Dress leaves basic behind thanks to its raw edge deep v cutout and choker neckline. Pair this edgy sweatshirt dress with booties for a one and done casual look. Average should not even feature in a babe's vocabulary. 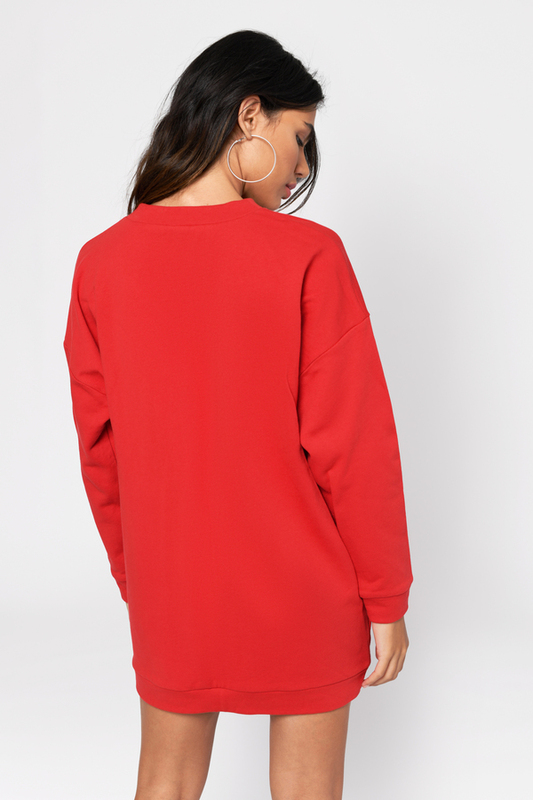 The Red Not Your Average Sweatshirt Dress leaves basic behind thanks to its raw edge deep v cutout and choker neckline. Pair this edgy sweatshirt dress with booties for a one and done casual look. Average should not even feature in a babe's vocabulary. 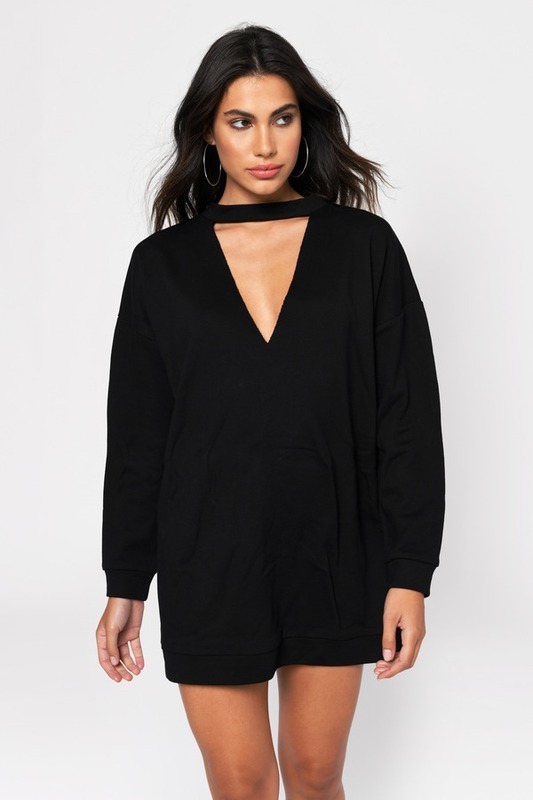 The Black Not Your Average Sweatshirt Dress leaves basic behind thanks to its raw edge deep v cutout and choker neckline. Pair this edgy sweatshirt dress with booties for a one and done casual look. Average should not even feature in a babe's vocabulary. The Grey Not Your Average Sweatshirt Dress leaves basic behind thanks to its raw edge deep v cutout and choker neckline. Pair this edgy sweatshirt dress with booties for a one and done casual look. Grey, Red modeled on a size Small.